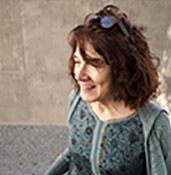 Mary Ruefle is the author of numerous books, including Dunce (Wave Books, forthcoming 2019), My Private Property (Wave Books, 2016), Trances of the Blast (Wave Books, 2013), Madness, Rack, and Honey: Collected Lectures (Wave Books, 2012), a finalist for the National Book Critics Circle Award in Criticism, and Selected Poems (Wave Books, 2010), winner of the William Carlos Williams Award from the Poetry Society of America. She is also an erasure artist, whose treatments of nineteenth century texts have been exhibited in museums and galleries, and published in A Little White Shadow (Wave Books, 2006). Ruefle is the recipient of numerous honors, including the Robert Creeley Award, an Award in Literature from the American Academy of Arts and Letters, a Guggenheim fellowship, a National Endowment for the Arts fellowship, and a Whiting Award. She lives in Bennington, Vermont. 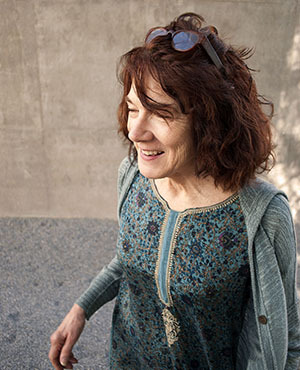 The Paris Review and Mary Ruefle, a conversation on "Becoming Invisible"